Too many new creatives, entrepreneurs, and professionals burn out after just a short period of time because they’re stuck on working hard. They try to do everything themselves and neglect important things like, eating, sleeping, and making time for self-care and loved ones, as a result. I encourage you to not be like these people. I don’t want you to overexert yourself and risk your health just to produce a few results. In today's world, I hear so many people speak about being “busy” and advocating for things like “sleeping when they’re dead,” but is that really how you want to live your life? Running yourself ragged just for the sake of being able to say you work hard as hell, you do everything yourself, you’re #teamnosleep, you neglect to eat, and have little to no social interaction with others? I know that lifestyle is not for me but of course, I found this out the hard way. I noticed myself living this life, that sent my health going downhill. I was overly exhausted and my work spoke of my lack of sleep. I couldn’t think clearly, work as efficiently, and I noticed I didn’t make money as often as I used to. I became less interested in my work because it started to feel more like a chore and less like a positive privilege. I caught colds more often and I felt so drained. So, darling, I encourage you to work smart instead of hard. If you aren’t 100% you’ll never be able to live your best life or be your best self. I encourage you to do what I did and it all starts with making a plan. I’ve listed my plan below so you can duplicate it and incorporate it into your own routine. I am such a To-List Advocate! Life runs so smoothly when I’m not jumping blindly into daily tasks and activities. To-Do lists help me stay focused, on track, and motivated. “I mean, who doesn’t love seeing those checkmarks next to their daily tasks?” Having a calendar to write in makes being a creative entrepreneur much easier too. No more trying to memorize when projects are due, bills are due, appointments are set, etc. I just update my calendar and/or planner as I go along so I won’t have to worry. One day I was invested in writing a blog post, much like this one, when I received an email about a sale from a coach I’ve invested in before. Now, the right thing to do would be to carry on with writing my blog post so I could schedule it to be published on time, then get to my other various tasks for the day. However, do you think I did the “right thing?” Of course not, smh. Instead, I opened the email, started clicking links, visiting websites, social media, you name it! I was doing everything BUT writing the blog post, When I finally realized my error in action choice, don’t judge me, but nearly 2 hours passed by. I FORGOT all about my blog post. Don’t let this be you. Don’t waste precious energy or interrupt your focus because you’re checking every email as it pops up in your inbox. Instead, set a specific time to check your emails first thing in the morning. After your morning routine of praying, reciting affirmations, etc of course. Once that’s done, and you’re energetically aligned to start your day, check your emails. Do this before starting other tasks, to see if there were any updates to projects, assignments, or changes requested by your team overnight. Grab the prioritized emails and add those to your To-Do List, then leave your emails alone for a while. Don’t check them again until the afternoon so you avoid being distracted and getting sucked into the vortex of being unproductive like I did. There are several benefits of avoiding the temptation to multitask. a. You can concentrate on the task at hand without interruptions. c. You risk being very busy with very little accomplishments at the end of the day. Even though there’s usually a sense of pride associated with being able to multitask, it ain’t cute. "Dear Creatives, multitasking will leave you with a multitude of incomplete projects, assignments, and goals." Don’t let that be you, working hard, doing a ton of busy work with nothing to show for it at the time of the deadline. You are not a robot. I repeat... you are NOT a robot. So, don’t go into overdrive 24/7 as you pretend to be one. Working an entire day without any breaks will be exhausting for your brain and also counterproductive to your agenda. Instead, when the weather’s nice, go for a walk outside during lunch to enjoy with nature, take a power nap, read a book for pleasure, watch a comedy so you can laugh. Simply “Check Out” and step away from your work for a bit. 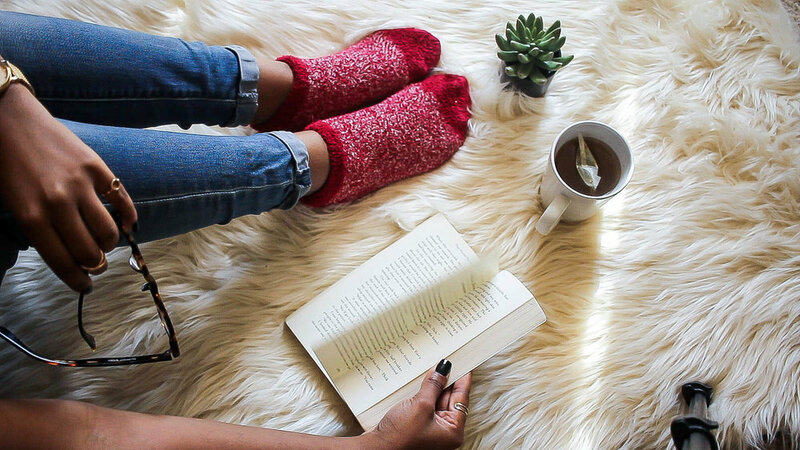 By taking a moment for yourself you give your brain an opportunity to tune out, recharge, and be better focused on approaching your remaining goals for the day. 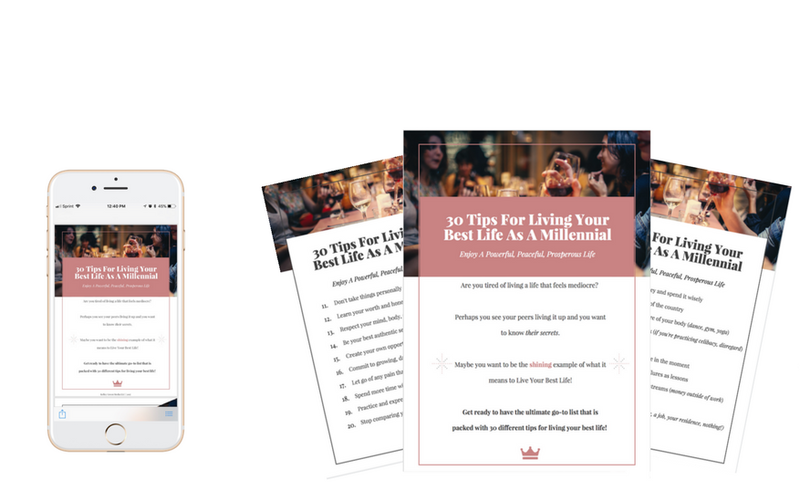 If you're lookng for additional ways to spend your time that result in you living your best life, click below to grab your FREE Downloadable list with 30 Tips For Living Your Best Life As A Millennial. You don’t always have to be Wonder Woman or Superman. Occasionally your schedule may not fit a certain meeting, conference call, or allow you to do that favor for your cousin, and that’s OKAY. You are free to politely decline or offer a rescheduled solution at a later date. Don’t spread yourself too thin, hun. Don’t let commitments cause you to feel stressed and overwhelmed. Also, don’t feel bad if you are just flat out disinterested in attending a function. I get it. Sometimes you just want to chill at home in your pajamas, in your nice warm bed, with some wine. Outsource. Collaborate. Share duties with a team member. Find someone who can do what you need to be done, and when you need it done, so you can have more time to dedicate to other things. Whether that means you have physical commitments, other obligations, or you just want to take a nap. You deserve to spend your time as you wish and having additional help makes that possible for you. If you don’t stop reaching for your phone when you know darn well you have work to do, you’re going to find yourself behind on your tasks. When this happens you’ll have no one to blame but yourself. Sorry, not sorry if this sounds unsympathetic because you have to learn to starve your distractions and feed your focus if you want to succeed. Now, I’d love to hear from you. Which of these tips will you implement in 2018? Comment down below so we can chat about it.